Delta Goodrem flight with kids was well worth it. 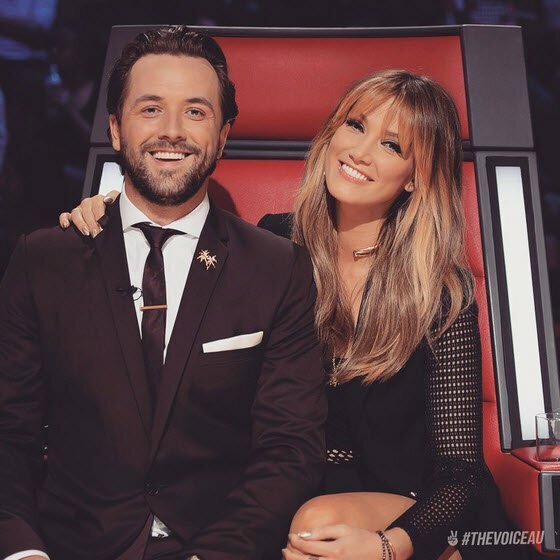 Delta Goodrem gives up business class to help scared kids. She gets a pretty awful rap for displaying some diva antics backstage, but the 31-year-old wasn’t looking for any attention when she decided to swap her business class seat from Sydney to Melbourne in order to take care of two children who were afraid of flying without their parents. I’m so proud to be featured on this album and excited for you to hear the wonderful Christmas music from my friends @HumanNatureLive #TheChristmasAlbumDeluxe is out now everywhere! ???? The children in question, Annalise, 13, and Nicholas, 8, McKewen, were saying goodbye to their mother Lynda outside the airport terminal, when Delta overheard their conversation. She introduced herself to the family and promised Lynda she’d take care of her kids on their voyage to Melbourne, where their father Wayne was waiting to greet them. “When my husband collected them at the other end we found out she had spent the majority of the flight with them and given up her seat to care for them,” Lynda McKewen said. Delta sat next to the children the entire flight and played games to distract them from the windy weather and turbulence. Annalise and Nicholas have travelled alone once before, but this time they were heading to the Australian Open where their dad Wayne referees. “They relaxed as soon as they met Delta,” said Lynda McKewan. It appears as though the Christmas magic is alive and well. SCROLL through a gallery of all things Delta Goodrem. 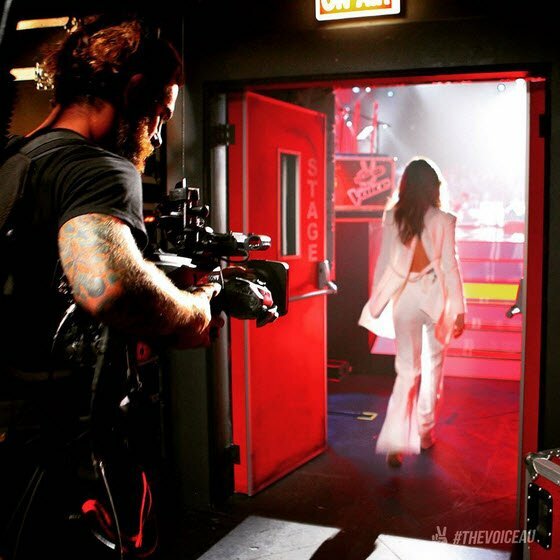 Delta Goodrem at The Voice.Image via Instagram. Delta Goodrem&apos;s outfit.Image via Instagram. 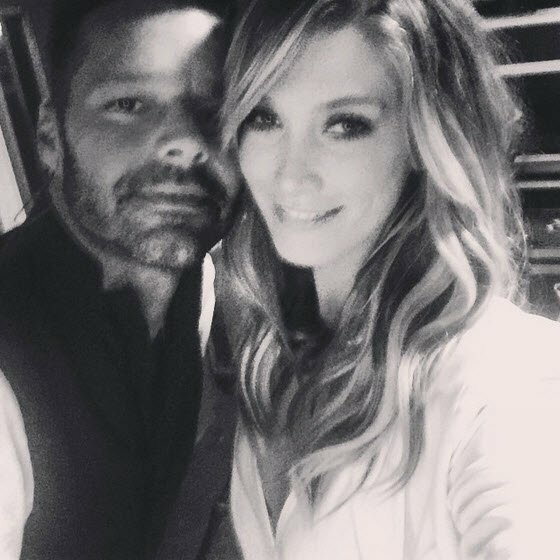 Delta Goodrem and Ricky Martin.Image via Instagram. 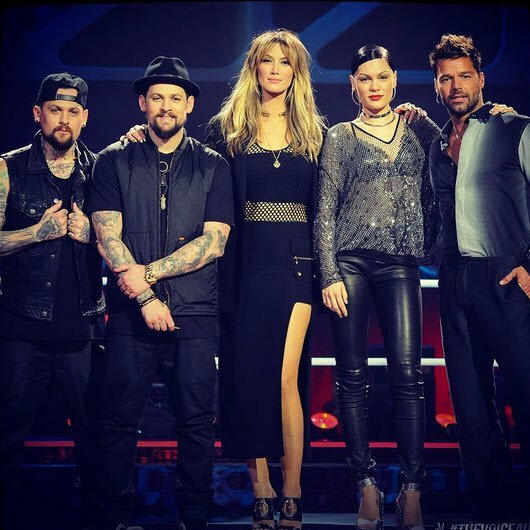 Delta Goodrem with the other judges.Image via Instagram.